Craig Baute is upping the ante on sharing in the coworking industry. 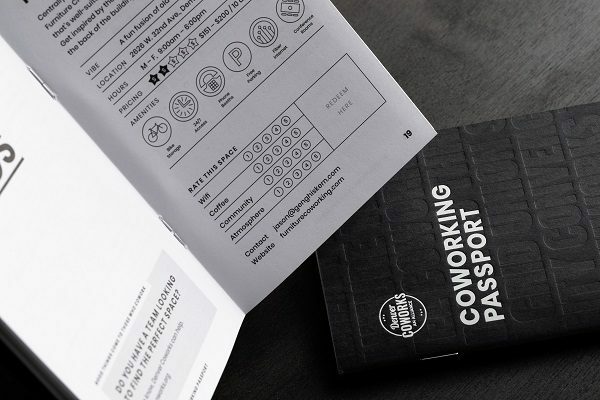 Last week, Denver Coworks — the trade association Baute helped found — launched a coworking passport that gives users free one-time access to 15 coworking spaces around Denver. Businesses on the passport include Thrive in Ballpark and Cherry Creek, Novel Coworking in LoDo, The Grid on South Broadway, and Creative Density — which Baute owns — in Uptown and Cap Hill. All the included spaces are Denver Coworks members, although not all members opted to participate in the passport. Baute said the booklets serve as marketing for the coworking spaces. “Because we can’t really advertise to the remote worker and freelancer anymore, because it’s so cost-prohibitive, this is a free outlet to encourage that person to discover our coworking spaces,” Baute said. Baute said Denver Coworks spent $2,500 to print 750 passport copies, which can be reserved online at Denvercoworks.org and picked up in person at select locations. Passport users then can walk into a space without a reservation and work for free from that location, Baute said. The hope is that users eventually will commit to paying a monthly membership at one of the spaces they tried out through the passport, which gives users $50 off their first month at their chosen location. 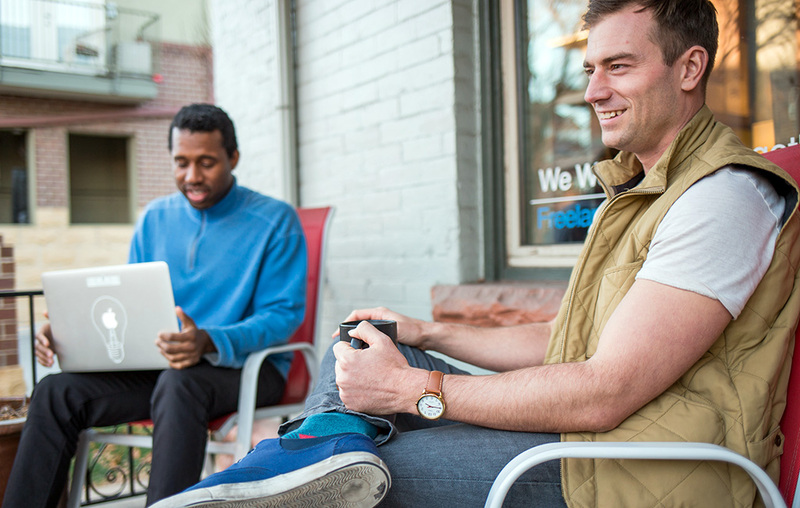 Denver Coworks, which Baute helped start in 2012, is an alliance of coworking spaces in town. Members meet monthly and pay $250 in yearly dues to be part of the alliance, which helps pay for projects such as the coworking passport, Baute said. Five years ago, Baute tried rolling out a Colorado coworking passport, which he admitted didn’t gain quite the traction he hoped it would. Deskpass, which Baute helped bring to Denver in 2016, lets paying members float around different coworking memberships for a monthly subscription fee. Deskpass and Upsuite are both advertisers in Baute’s newest passport. 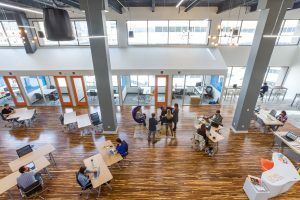 The coworking scene in Denver has boomed in recent years, with a plethora of local brands operating alongside industry giants. WeWork’s leases make it the largest private office user in the city, although not all of its locations have opened. Just last week, Chicago-based chain Novel Coworking bought a 17-story building downtown. The scene changes so fast that two of the coworking spaces originally slated to be included on the passport closed after the passports were printed; the original plan was to offer access to 17. Baute thinks the coworking industry will continue expanding locally, particularly in the suburbs. 1 Comment on "New passport lets users try 15 local coworking spaces for free"